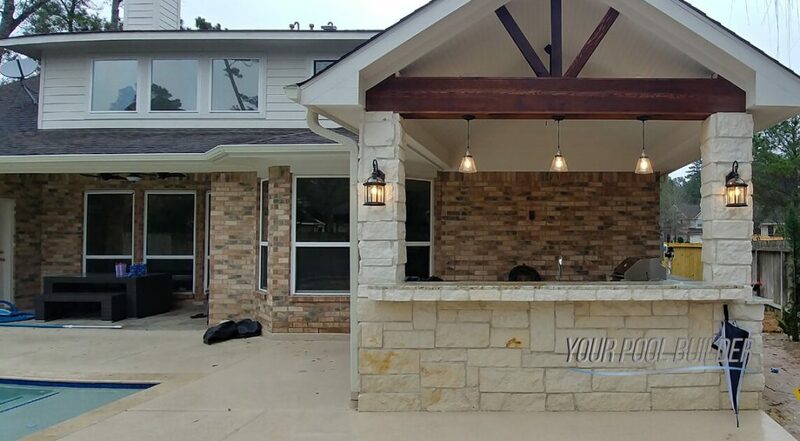 Custom outdoor living construction – We think the space around your swimming pool is as important AS the pool and should be functional, plus provide you with some of the comforts we take for granted indoors. 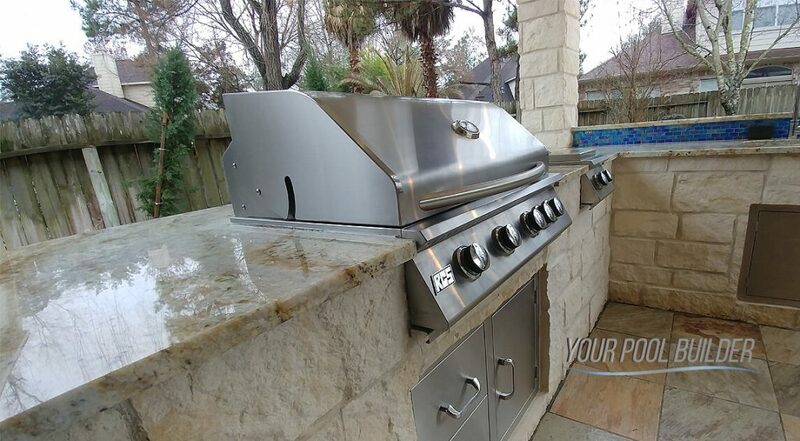 Think of being able to use your heated spa all year round with an added outdoor fireplace. 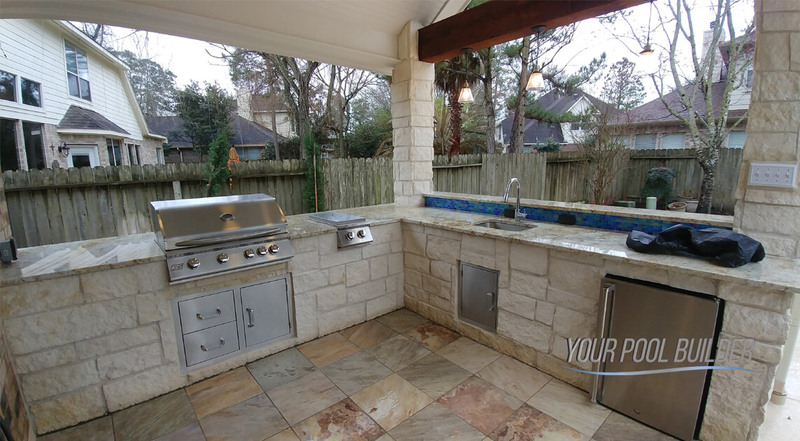 Keep the party moving outdoors including the mess with a built in summer kitchen to host all of your pool guests. 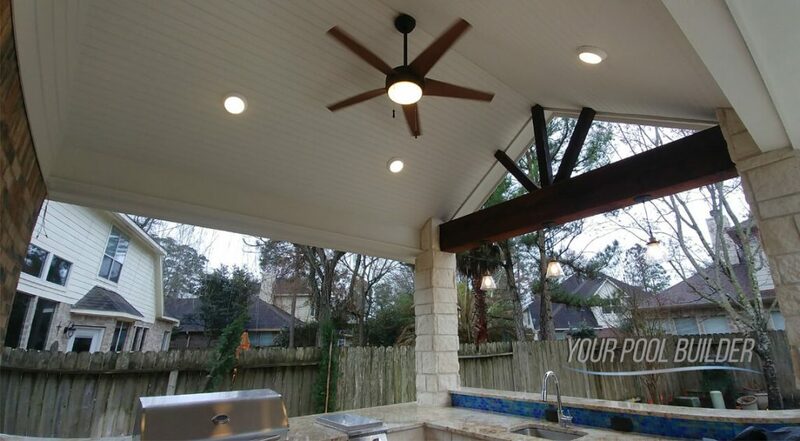 Building a custom outdoor patio is one of the best ways to enhance your new pool experience! 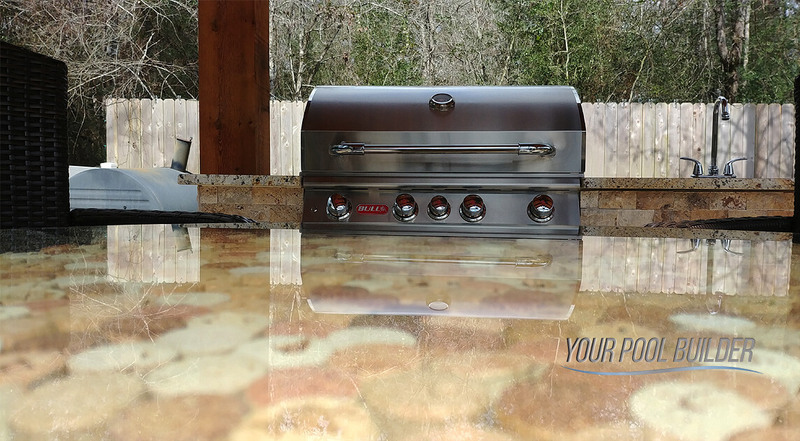 Some of our favorite backyard projects have included fully featured custom summer kitchen and outdoor patio living spaces that really put the cherry on top of an already stunning backyard pool design. These functional outdoor-living spaces extend your stay in the backyard, offering cool custom comforts and areas for gathering or relaxation. 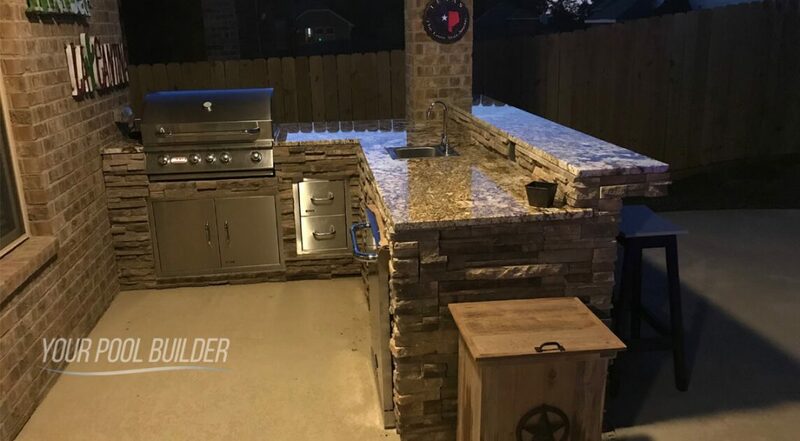 It has been our pleasure to provide our custom outdoor kitchen construction services in Montgomery County, TX to so many homeowners who see the potential in their backyards for our great construction and design expertise. 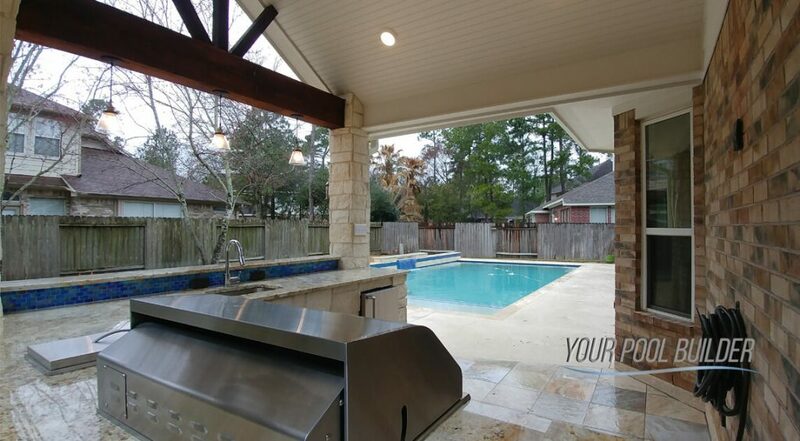 Tell us what kind of backyard pool, or outdoor living space you are looking for and we will be happy to assist you. Never be without the essentials. The final piece to every outdoor living area is the furniture. When it comes to patio furniture you shouldn’t squander on quality. 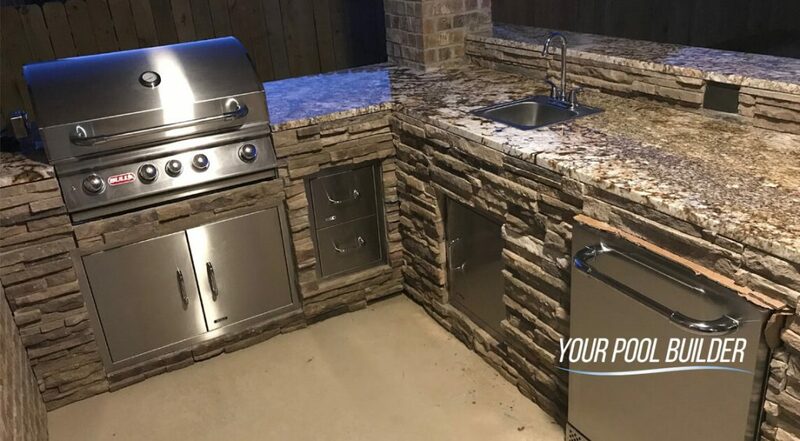 Get a FREE design & quote for a custom outdoor patio, kitchen, or fireplace construction project whether you are getting a pool or not we can help!